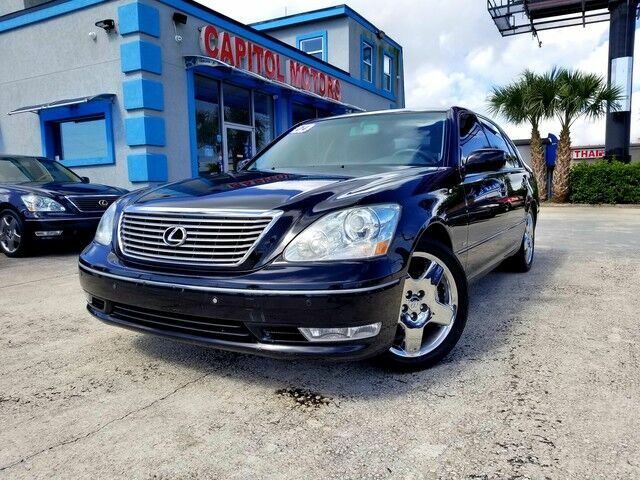 This 2004 Lexus LS 430 INCLUDES: SUNROOF NAVIGATION BACK-UP CAMERA HEATED SEATS You deserve a vehicle designed for higher expectations. This Lexus LS 430 delivers with a luxurious, well-appointed interior and world-class engineering. This 2004 Lexus LS 430 has such low mileage it has been parked more than driven. Added comfort with contemporary style is the leather interior to heighten the quality and craftsmanship for the Lexus LS 430 Class defining, one-of-a-kind options are the standard with this Lexus LS 430 plus much, much more. This 2004 LS 430 has extra options like the Lexus navigation system. The additional feature will keep you safe and will make this Lexus LS 430 even more dependable.